Champagne Jewelers carries a full selection of fine diamond jewelry. In addition to classic styles, we strive to carry exclusive designer and custom pieces. 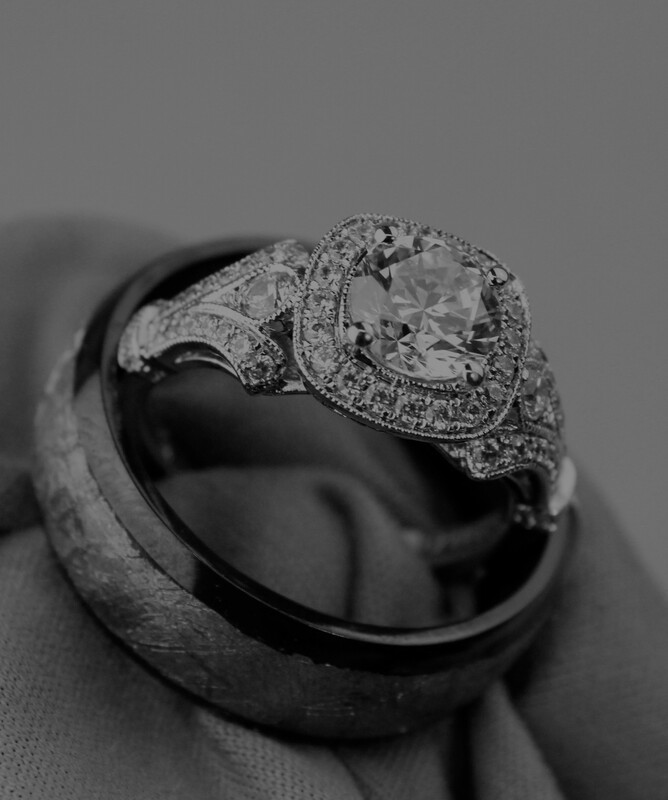 We also have master bench jewelers on-site to help you create a custom piece of jewelry. Champagne Jewelers carries gold and diamond jewelry that features colored gemstones. You can also personally select a stone from our collection of loose diamond and gemstones for a truly one-of-a-kind piece. Your stone can even be set into a design of your choice. From gold in every color to platinum, you will find timeless and fashion forward pieces at Champagne Jewelers. Find one of our personal shoppers to help you find the perfect piece for you or your loved one.